One of the supreme benefits of blogging is the occasional message you receive or person you meet through a mutual interest. Enter Florida-based "dream folk" band, And the Giraffe. 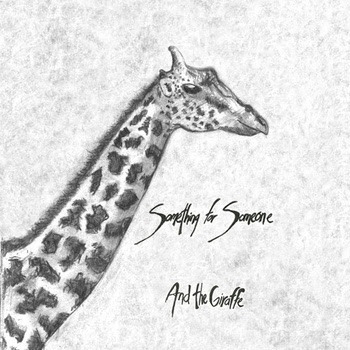 Their EP, Something for Someone, is available for free in its entirety via the group's bandcamp. Within the first few seconds of hearing opening track, "Underground Love", I knew this was a collection of music that would be worth writing about. I adore And the Giraffe's sound! It was love at first listen. Something for Someone possesses that rare ability to transport you into a new dimension of relaxation and musical bliss. The vocals are perfect and the instrumentation is wonderful. I highly suggest checking it out! Better than meditation, these songs deserve a listen. Your soul will thank me.